My first 21km race after 9 months restrained myself from running long distance event. I had so much fun last night!! 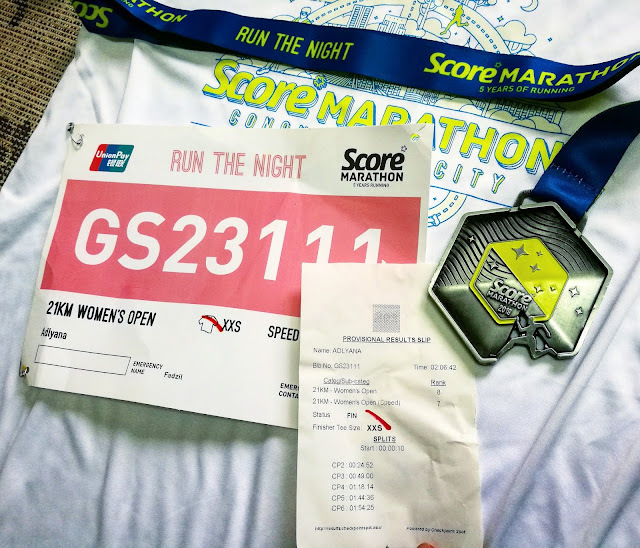 Didnt plan to run any half marathon this soon. Lebih2 lagi without training for it. Coz currently my training is all about 10km race je. So I can say, I ran this one bluntly - by heart, gitu. I was so confident I could do it in 2 hours. But terlebih 6 minit. Blame it to my body condition. I was (and still) having fever, and cough during the race. But Im so glad I did it. And alhamdullilah, other than demam, my body (my knee specifically), felt awesome! I could even sprint for the last 100 meter! 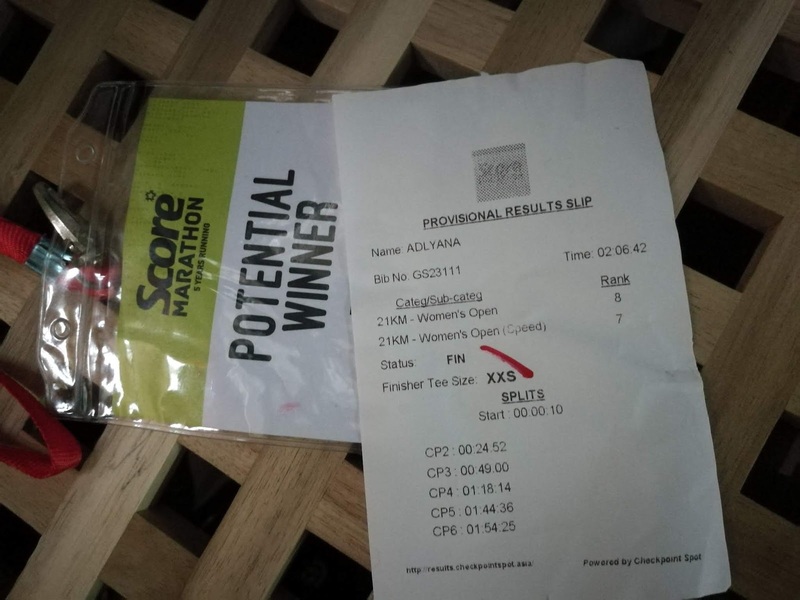 Was suprised when I received the potential winner tag. Wow! That means a lot to me. But I miss the podium. Didnt hear my name was announced during the awards presentation. Tak kisah pun, as I know, the will be more and more podium after this, insyaAllah. Now, Im ready to start my half marathon training. Lets bring it on and get more serious! 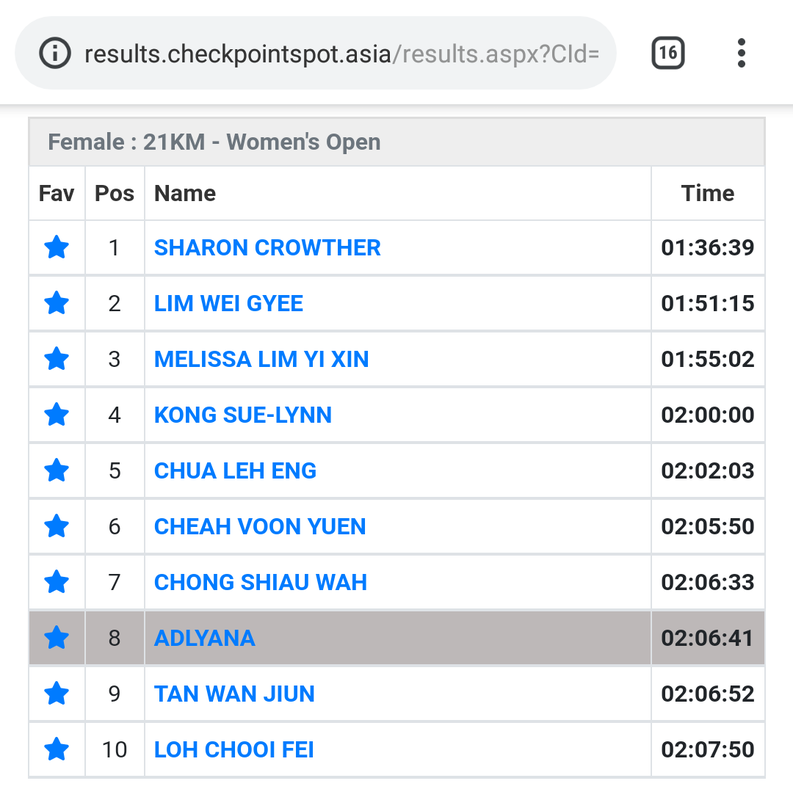 Oh, I got 8th placing for women open category. Not bad eh? I thought Im already in veteren.. hihi.